The plane was flying from Milwaukee to Atlanta. 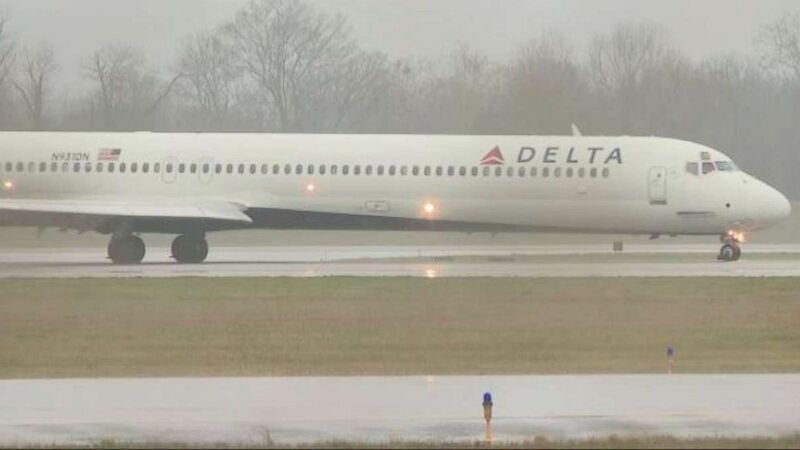 A Delta Air Lines flight was forced to declare an emergency and make an unscheduled landing in Chattanooga after apparently being struck by lightning on Tuesday. The plane took off from George Mitchell International Airport in Milwaukee and was supposed to land at Hartsfield-Jackson Atlanta International Airport in Atlanta, before the emergency was declared and it was diverted to Chattanooga Metropolitan Airport at 3:38 p.m.
"We were struck by lightning, we're on the hold, and then the left engine started giving us vibration," the plane radioed to air traffic control, according to LiveATC.net. "We've got it in idle. Still operating. We’re going to land and deal with that on the ground." The flight landed safely and all 164 people on board were put on a different plane to continue to their destination. 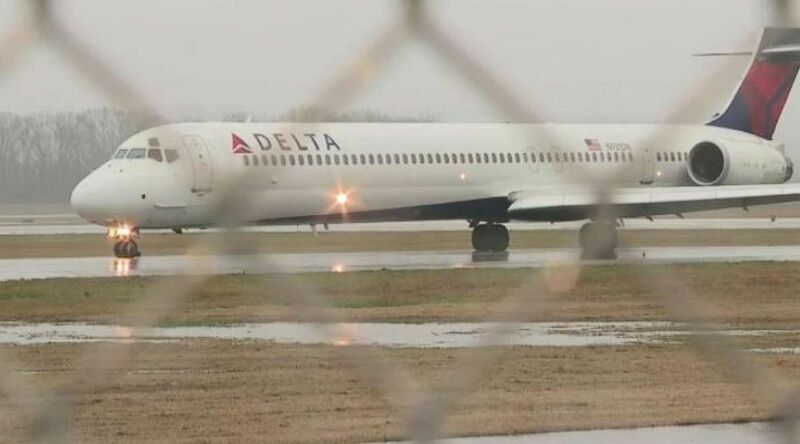 (WTVC) Delta Air Lines flight 2050 was forced to make a landing in Chattanooga, Tenn., after being struck by lightning on Tuesday, Feb. 19, 2019. The plane made its eventual landing in Atlanta, 7 1/2 hours late, at 11:18 p.m.
"I saw a flash and then after a little bit, you could kind of feel the engine go out and slow down," passenger Russell Baumgard told Chattanooga ABC affiliate WTVC. "And then they were like, 'Hey, we're over Chattanooga and we're going to land.'" "The aircraft will be closely inspected to determine the next steps in getting the passengers to their final destination," Chattanooga Airport spokesman Albert Waterhouse said in a statement. Delta said the Federal Aviation Administration will investigate the strike. A massive storm system was moving across the region on Tuesday, bringing heavy rain to the Tennessee River Valley and moving into the Mid-Atlantic and East Coast by Wednesday. ABC News' Jeff Cook contributed to this report.